Will the Defender be Land Rover’s new best seller? 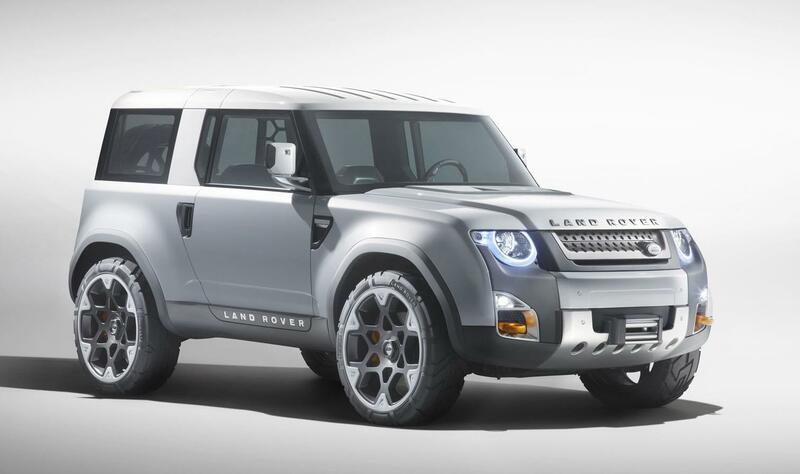 Land Rover is going through a bit of an identity crisis. The company started off as the British Jeep, making tough off-roaders for farmers and the British army. That is hard to believe today; luxury trucks like the Range Rover and LR4 fill Land Rover showrooms, while the utilitarian Defender is a niche model. Over the past thirty years, the company did a complete “about-face,” and according to boss John Edwards, it’s about to do another one. Edwards is confident that the new Defender, based on the DC100 concept (pictured) from the 2011 Frankfurt Auto Show, will be Land Rover’s best seller. he said the Defender will help Land Rover break out of the luxury segment, and that a simple, affordable design with many body styles will increase sales volume. “The leisure market is huge,” Edwards said. “We get a very significant share of the premium SUV market that BMW and Porsche compete in, but the leisure segment is bigger, it’s growing and our share is smaller. Our ambition is to grow here.” He was not very clear on what the “leisure market” is, but if Land Rover wants to expand beyond the stereotypical suburbanite, who only uses their X5 or Cayenne to ferry kids to school, they might be on to something. Plenty of people still use their SUVs to haul bikes, camping equipment, and other recreational gear. One aspect of the new Defender that will definitely broaden its appeal is the number of body styles Land Rover plans to offer. In addition to the standard, wagon-style, SUV body, there will be two- and four-door pickup trucks. If the new Defender is anything like the old one, there may also be a two-door SUV and a convertible a la Jeep Wrangler, along with other body styles. Edwards cited the Toyota Hilux as the benchmark vehicle for the new Defender, proof that Land Rover is serious about getting back to its proletarian roots. “It has a good cost base and distribution,” he said of the favorite truck of anti-Qaddafi rebels and Top Gear. Toyota sold 549,000 Hiluxes worldwide last year, many in countries where Land Rover does not have a significant market share. Hence, going after Hilux customers will give the British company a new foothold in those markets. Land Rover already has a pretty significant presence in the United States, and it hopes to increase its sales here with the Defender, which was last sold here in 1997. The sport-utility market has become much more competitive since the last Defender left U.S. shores, but Edwards is “massively encouraged’ about the car’s potential appeal. He said people thought the DC100 concept was a $70,000 car, but Land Rover plans to sell the production Defender for a much lower $30,000-$40,000. A cheaper, more versatile vehicle seems like a great way to increase sales. Not everyone can afford a luxury SUV, and most people don’t need one. With its simple, rugged design and multiple body styles, the new Defender could come close to being all things for all people. Or it might turn out to be marketing hype from an over-enthusiastic businessman. Either way, look for the new Defender in showrooms in 2014 or 2015.